In January, we were excited to announce that we were beginning an achievement program to encourage our members' involvement and growth in the world of modern quilting, the ACE Program. 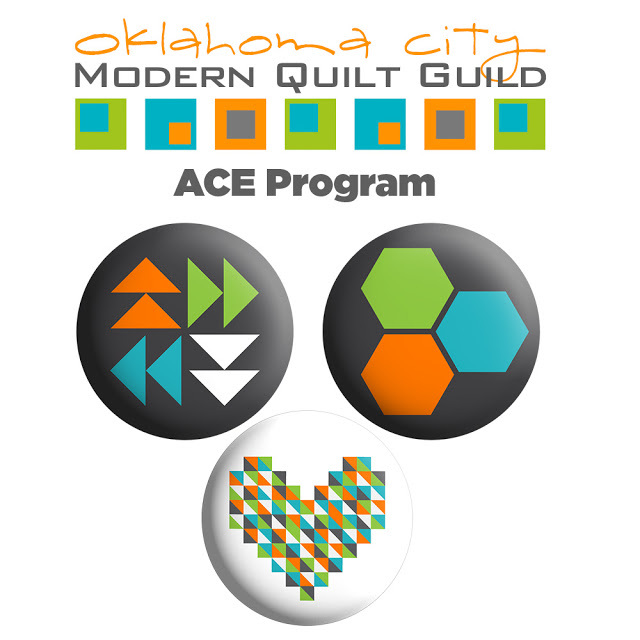 At the March meeting, we were very proud to bestow the first round of ACE pin recipients! 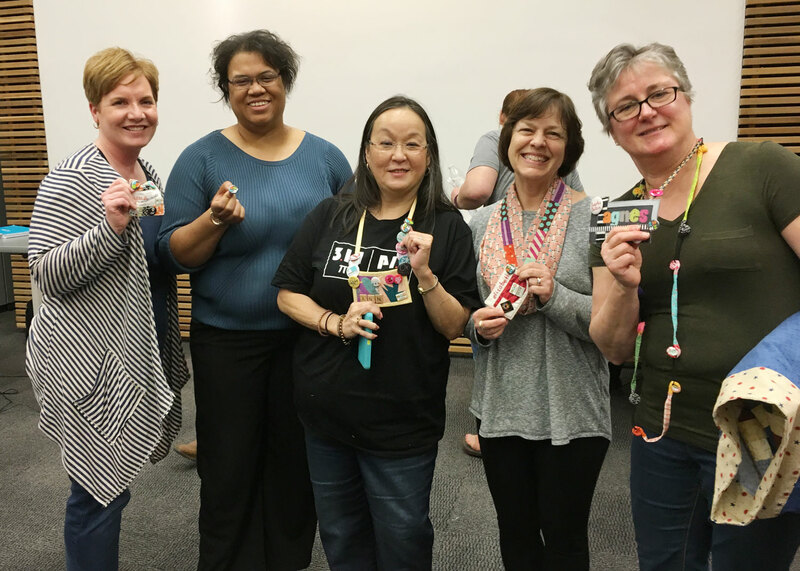 Thank you ladies for making the effort to experience more of the modern quilt making world, sharing it with others, and coming back and telling our group about it! We can't wait to award our next recipients!